There's a new kind of coffee competition on the block—it's fun, fresh, focused on community building, and may be coming to a town near you in the future. 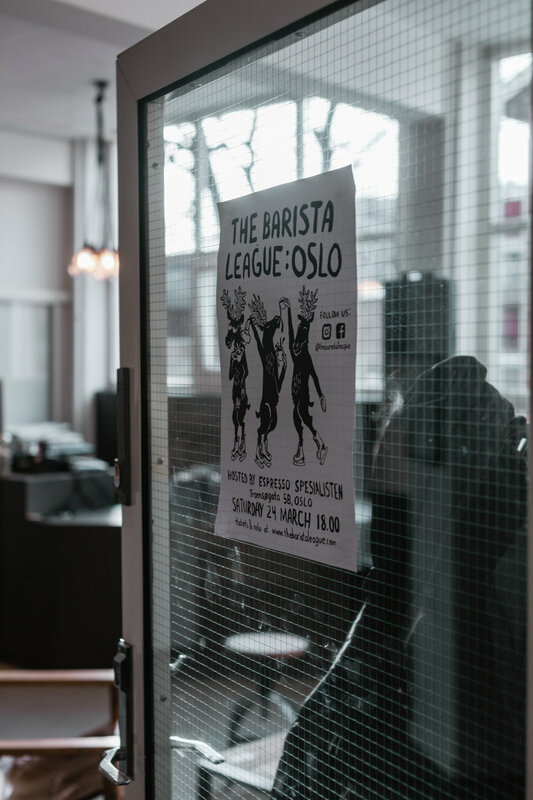 The Barista League, which has been popping up and delighting baristas in cities across Europe and Scandinavia for the past few years, takes recreation very seriously. 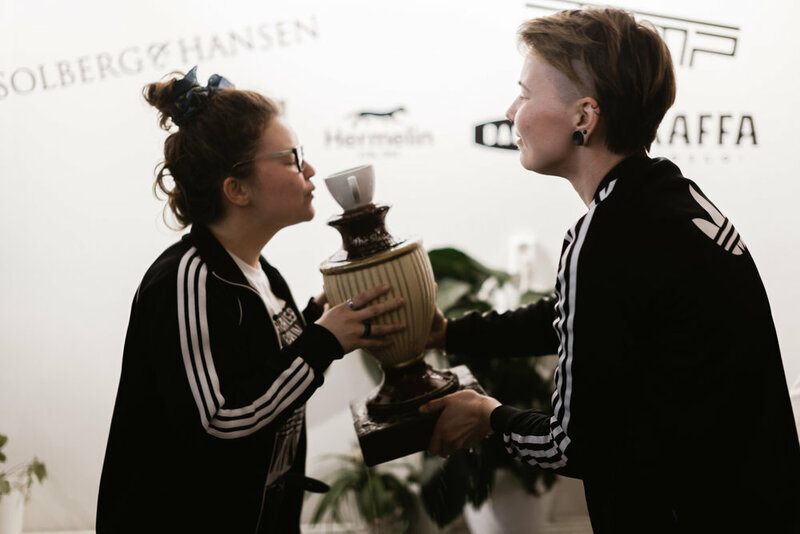 Their most recent event in Oslo brought together 24 competitors, 220 attendees, ended in a dance party, and rewarded the winning team with a trip to Amsterdam. 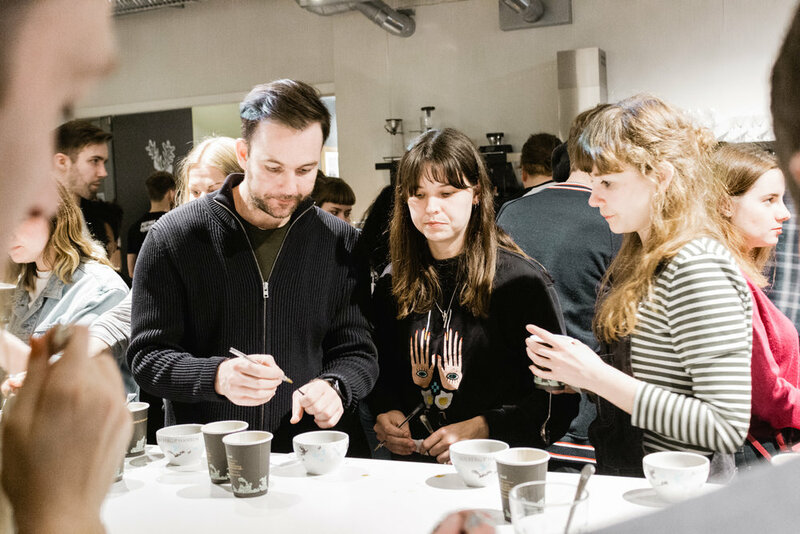 Tomorrow, The Barista League will be hosting an impromptu Minor League event during the London Coffee Festival, followed by a KaffeKat bicycle race around the coffee shops of Copenhagen in early May. 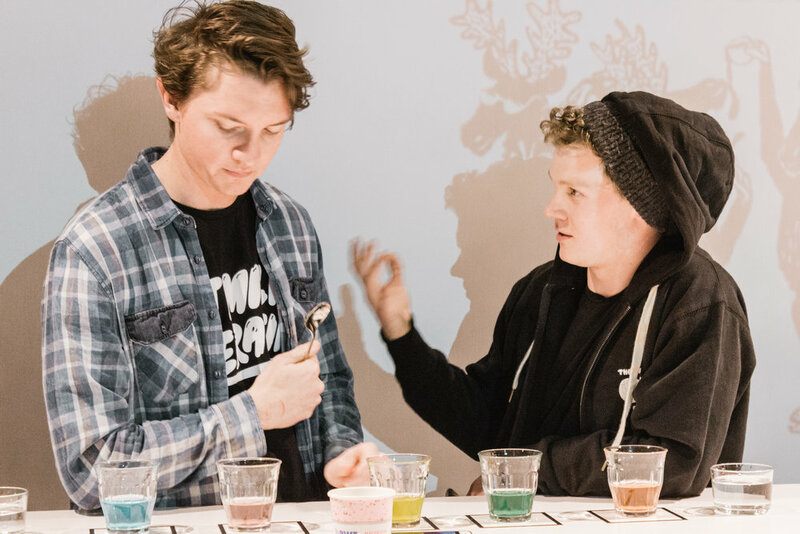 After their Midsummer Party during the World of Coffee event in Amsterdam, this wild, caffeine-filled championship will be crossing the Atlantic to make it's U.S. debut—touring four cities. tLBCC: Can you tell us a little bit about your very first Barista League event? Steven Moloney: While I was at Love Coffee I had the idea to have a big party to celebrate the first anniversary of the café and the end of the short but glorious Swedish Summer. We had it at the roastery, about 10 minutes away from Lund in the south part of Sweden. I had previously run a few throwdown style coffee events, but we wanted to be a bit more ambitious so we planned out three challenges, got some small sponsors to help pay for beer and food and we were ready to go. I think we had just 5 teams that first event and around 60 people come out to watch, but the vibes were fun and relaxed and I think everyone had a great time. After that, It was actually the feedback from the people involved that made me plan a second event, and then it all kind of snowballed from there. tLBCC: How many Barista League events have you hosted since then? Steven Moloney: We are up to our 11th ‘Official’ barista league event now, but we have done a few little parties and sideline events as well. We have been to Helsingborg, Gothenburg, Antwerp, Helsinki, Oslo, Berlin & Copenhagen. tLBCC: What is the structure of a Barista League event? Steven Moloney: The whole event happens in one night. This is a big part of our goal of making the events easy and fun to be a part of—not having to take off a week to go to a coffee competition. We have three rounds: Barista Skills, Sensory Skills, and the Mystery Round. We usually run two or more rounds concurrently so there is always something to do and someone to watch compete. The challenges change at almost every event—although we are finding out which are the favorites—and we encourage anyone and everyone to sign up and compete. All of the rounds are designed around real-life skills of a barista. You don’t need to train for months, just come, be a barista and have fun. tLBCC: How do the teams work? Steven Moloney: The competition is always focused on teams of two. The idea is to break down any barriers to getting in and competing—you can drag a friend along so you don't have to get up there by yourself. Teams make it more fun and so far we have found that partnering up is an awesome way to get people involved who wouldn't normally compete. 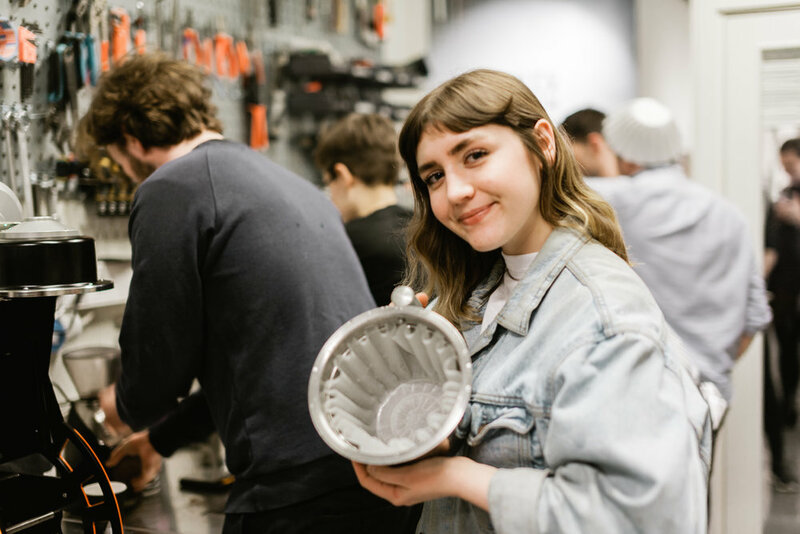 Teams sign up a month before each event and then we have a short training time for everyone on the day of the competition—time for them to dial in coffees, set recipes, learn about the equipment, and ask any questions they have. Then, that night it is all action! tLBCC: You must have encountered some pretty awesome team names over the years—are there any, in particular, that stand out? Steven Moloney: ‘’Drip it like it’s hot’ and ’Fifty shades of filter’ were both good ones. 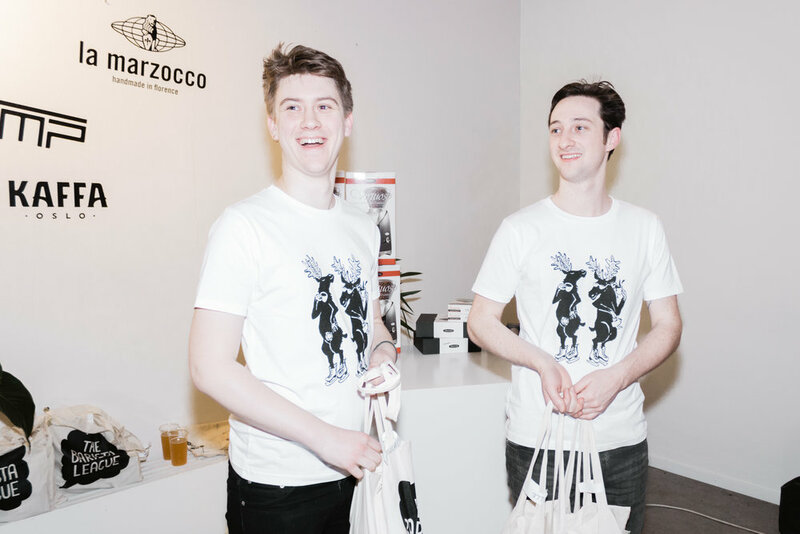 tLBCC: Your most recent event in Oslo brought together twelve teams of two and 220 attendees. Were you happy with the event? Can you share about the evening? Steven Moloney: We did our first event of 2017 in Oslo as well, and although we were adjusting to a much bigger format back then, the people there are so lovely and they really know how to party. This year was similar but just bigger! We had so many amazing people come in to compete and the standard was super high. But the most memorable thing was while we were packing up after the competition and seeing everyone on the dance floor, going off, and just having an awesome time! tLBCC: What do Barista League competitors win? Steven Moloney: We have had different prizes at each event but I can say that the winners of the U.S. tour will be going to origin along with the other world champions of 2017. We are pretty excited about that! 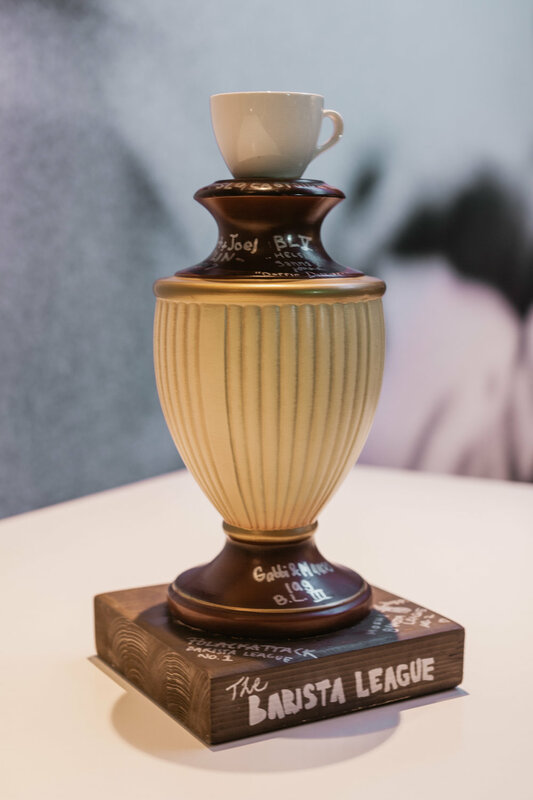 tLBCC: Can you tell us about the genesis of the barista league trophy? Steven Moloney: Haha. It is actually a lamp I found in a second-hand store mounted on a bit of my friend's house from when I was helping him renovate. Of course, it is kind of ugly—but I love it—and I love that it travels around Europe with the winners and bears the scars and wear and tear of having lived in like 9 countries in 2 years. tLBCC: What kind of feedback have you been getting from barista competitors and attendees? 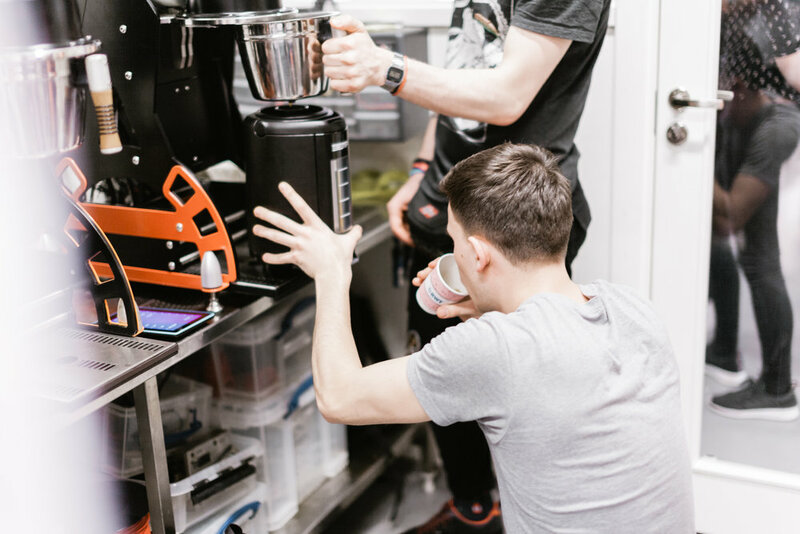 Steven Moloney: This is the real reason we do these events – the feedback we get from baristas at the end of a competition. People are generally so excited and happy to have been a part of it and seeing that means that regardless of anything else we are doing our job providing amazing experiences for working coffee professionals. tLBCC: Who else is on the Barista League team? I imagine you need a lot of help getting these events going? Steven Moloney: We are a pretty lean team. I have the transatlantic wunderkind Ashley Day doing communications part-time and I have an incredible competition manager in Filip Odeholm who does all our events with us. Of course, the events rely on so much help from volunteers, partners, friends, and colleagues who help out—without them I don’t think any event would ever get done. tLBCC: This fall, Barista League is crossing the Atlantic and will be hosting four events in the U.S.— Portland, Ore., Kansas City, Mo., Greenville S.C., and Philadelphia, Pa. You must be thrilled! What can US baristas expect from these events? Steven Moloney: We are super excited! I haven’t really been to the U.S. apart from a few days on a layover so I cannot wait to see what the coffee scene is like over there. As for the events, people should expect fun! 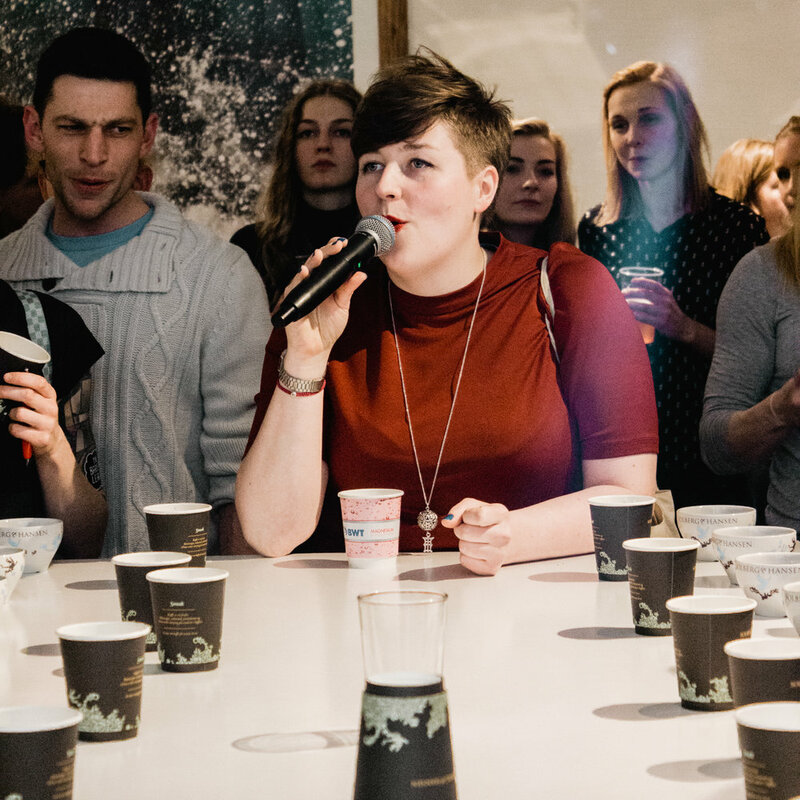 It is a world class coffee competition but with the relaxed good vibes of a house party. Anyone can come, anyone can compete and our goal is that everyone goes home a little bit richer than when they arrived (either through experience or friends or origin trips). 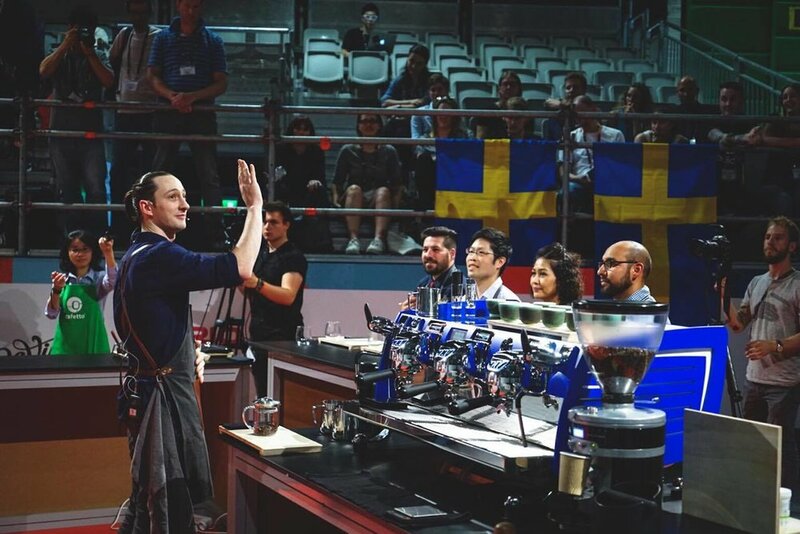 tLBCC: You were both the 2016 & 2017 Swedish Barista Champion, so you've dedicated a lot of your own time and energy toward competing on the world stage in events that are very different from Barista League. What compels you to compete in the WBC events? Steven Moloney: I think it was a mixture of wanting to learn more and being incredibly competitive and stubborn. These competitions can be a great way to learn more about coffee, especially in the first year or so. And they can, of course, provide a platform to meet more people and get yourself out there. tLBCC: The theme of your presentation in the 2017 World Barista Championship in Seoul was all about asking the questions: "What really matters?" and, "What's really important?" What do you think really matters in the specialty coffee industry? And why do you think hosting an event like the Barista League is really important? Steven Moloney: I think it stemmed from a lot of frustration with what people say in competition routines, and what people focus on online or argue about in blogs. Don’t get me wrong, I love a bit of old-school coffee nerdery, but if anyone thinks someone wins the WBC because the way they tamp their coffee they are extremely mistaken. Another example might be a barista with all these different tools and gadgets to make espresso but serving coffee that is old or roasty or underdeveloped—you have to get the basics right before focusing on the details. I don’t have an answer to what one thing is most important, but I think can be helpful to take a step away from our little specialty bubble and evaluate what a customer actually wants or ask if people actually having a good time at this event or whatever. I can’t say that a competition for baristas is really important in a world with so many bigger problems, but I want to bring people together to connect and interact with each other. I hope that way people can exchange knowledge, help solve problems, get support or just make some new friends. If we can promote events with more inclusion or help lift up amazing coffee professionals that don’t get chance in other events then I will feel like we have made a start at least. tLBCC: What was your experience like competing in Seoul? Steven Moloney: Seoul was actually super fun. The days before I was almost sick with anxiety and stress, but after it was over it was great. We were much more realistic with what to expect and what we wanted to get out of the WBC this time, so it wasn’t the stress, disappointment, sadness cycle that I had in Dublin. 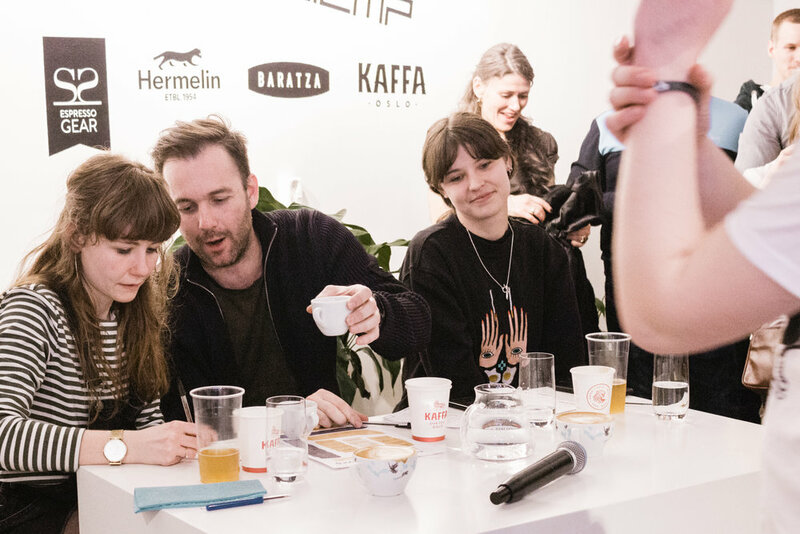 tLBCC: Did you compete in the Swedish Barista Championship again this year? Steven Moloney: I did not and I think I am done with competing in that format, to be honest. I remember thinking about the amount of money we spent on the WBC ($5-10,000 USD) and the hours we spent preparing (too many to count) and thinking that we could do so much more for farmers or baristas or people with that time and money if that was what was really important. tLBCC: When you are not competing or hosting Barista League Events, where can we find you and what are you most likely doing? Steven Moloney: Probably eating or cooking, to be honest. I love to cook and I love to travel basically just to eat new foods—American BBQ I am coming for you! 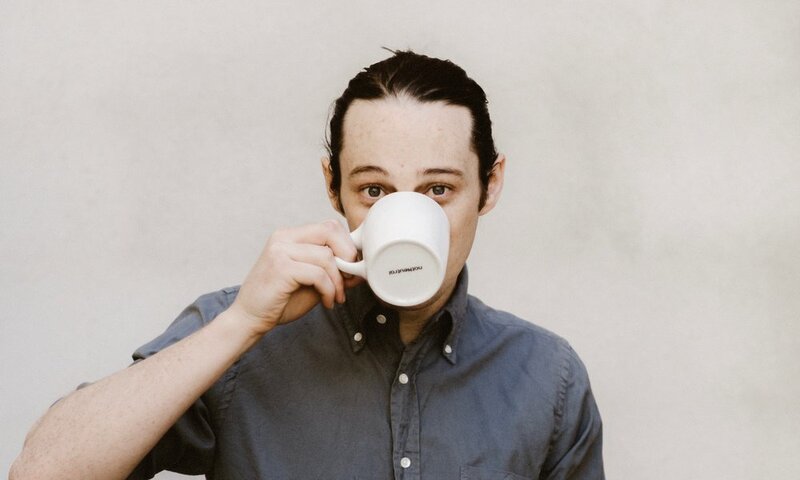 tLBCC: Is there anything else you'd like people to know about yourself or Barista League? Steven Moloney: If anyone has any tips for amazing food or things we should do in the US, find us on facebook and let us know! tLBCC: If someone is interested in hosting a Barista League event in their city, how can they go about it? Steven Moloney: Get in touch with me at steve@thebaristaleague.com We have a limited amount of time and resources and we cant do events in every city in the world, but every event starts with one person in a city who wants us to come!